Our Varsity Corner Display Case fits squarely in corners to provide a unique look. 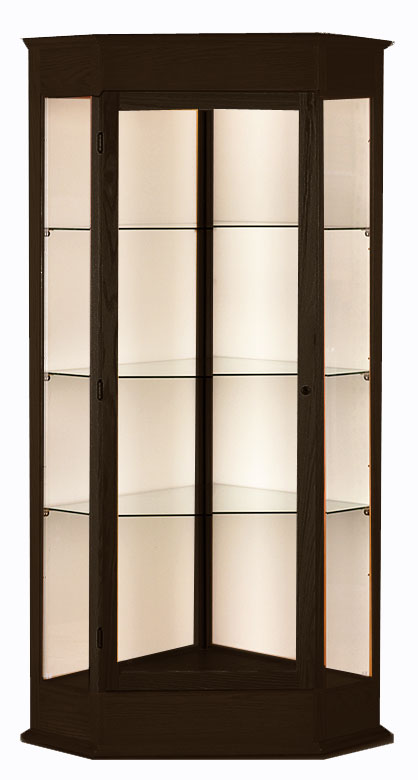 Commercial grade construction makes this a perfect display case perfect for high schools, museums or any office looking to securely display trophies and awards. 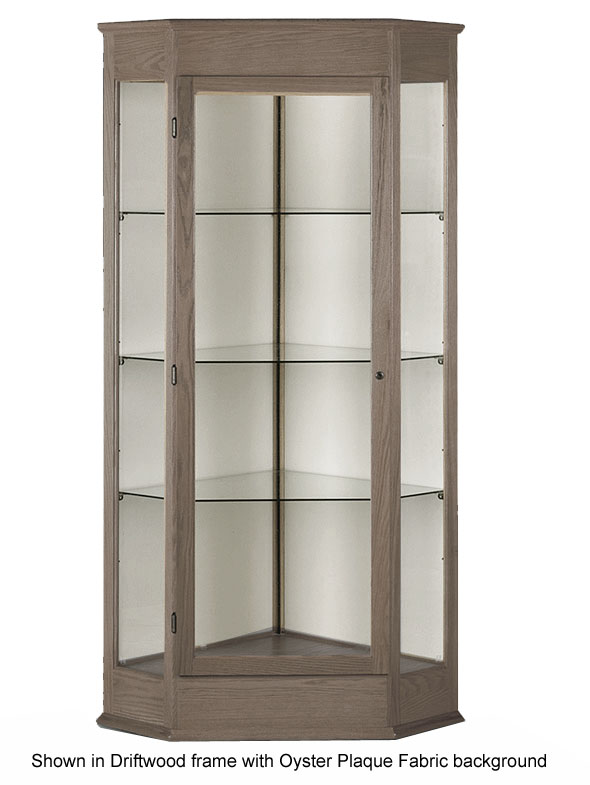 Constructed with a combination of oak veneers and solids with cove moldings and clear tempered glass panes. The built-in lighted cornice highlights your collection on three adjustable shelves, while quality locks and tempered glass provide added security. Interior of display case includes 3 adjustable tempered glass shelves. Choose from several colors of plaque fabric background (nylon loop fabric with velcro tape to attach plaques or other objects). 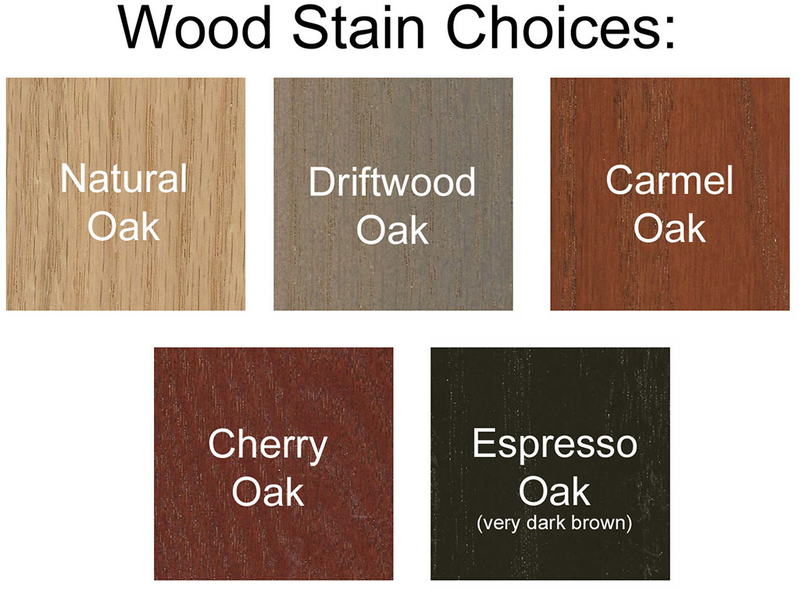 Your choice of many beautiful wood stains. Measures 28"W x 28"D x 77"H overall. Ships fully assembled! Shipping weight 250 lbs. PRICE INCLUDES SHIPPING! (Truck shipment - See Terms & Conditions). Please allow 3-4 weeks for delivery.